By eating meat, you become an accomplice in the destruction of the ecology of our planet, whether you know about it or not. And therefore, the best thing you can do for the Earth is not to support beef cattle breeding. Animal protein is not only linked to serious health problems—like heart disease, type 2 diabetes, obesity, and some types of cancer— but it takes an enormous toll on our planet, accounting for 75 percent of our global agricultural land use and two-thirds of food-related greenhouse gas emissions. Beef is one of the biggest resource intensive and environmentally harmful type of protein to produce. Soil erosion and desert offensive. Excessive grazing of farm animals and cultivation of forage crops for beef cattle produce intense soil erosion. According to the research of Alan D. Durning of the International Institute for Earth Observation “WorldWatch”, the production of one kilogram of beef leads to the irretrievable loss of 35 kg of the cultural layer of the soil. Meat cattle breeding is responsible for half the annually destroyed wet equatorial forests, which are cleared for new pastures and ranches. Each kilogram of meat grown in Central or South America is obtained at the cost of eleven square meters of forest. Acid rain and greenhouse effect. 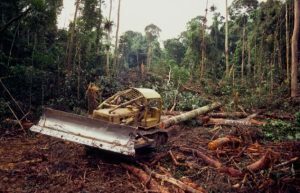 At the moment, 20% of the carbon dioxide that enters the atmosphere is formed by burning out forest tracts for land clearing. Scientists say that it is CO2 and methane that keep heat on Earth, not allowing it to dissipate in outer space. Due to unreasonable industrial activity of man, the Earth’s atmosphere is gradually saturated with carbon dioxide, which leads to a steady global warming, fraught with the most disastrous consequences. Another consequence of burnt forests is the formation of a large amount of sulfur dioxide, which is the main cause of acid rain. Burning a large amount of fossil fuel. Another price that we have to pay for eating meat is pollution of the environment. In 50% of cases of water pollution in the United States it is the cattle breeding fault. Throughout the world, the discharge of wastewater and the dumping of waste from meat processing plants and fattening farms into rivers and water bodies is one of the main causes of their pollution. How shift to a non meat diet will help. A recent study showed that a global shift to a plant-based diet projected reductions in global mortality and greenhouse gases caused by food production by 10 percent and 70 percent, respectively, compared with a control scenario set in 2050. A global dietary shift would save an estimated 79 million human lives and avoid 5.1 million deaths per year. Estimates for a completely vegan diet project closer to 129 million lives saved and 8.1 million deaths avoided. These projections also saw trillions of dollars saved in health care costs by 2050. Springmann M, Godfray HCJ, Rayner M, Scarborough P. Analysis and valuation of the health and climate change cobenefits of dietary change. Proc Natl Acad Sci U S A. Published online March 21, 2016. TODAY’S TIP: In accordance with the philosophical theory known as the “Butterfly Effect”, even minor changes in the present entail global changes in the future. Thus, do not think that the world will not change because one person becomes a vegetarian. This is far from the case. The world will change, and with the passage of time this change will take more and more importance. If at least you and for today only refuse violence in food, in the future it will give birth to hundreds of thousands of living beings: trees and birds, flowers and insects, people and animals. It is possible that it is your choice today that will save the world of your descendants from an environmental disaster.